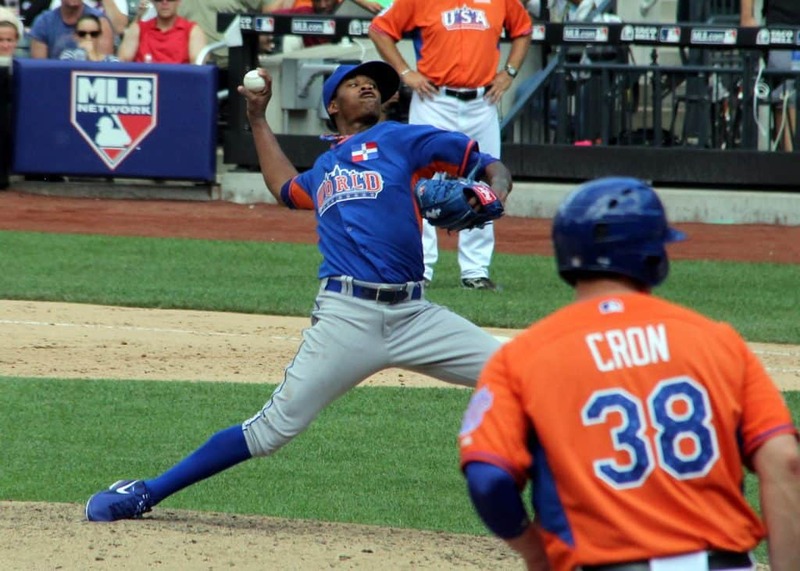 Yordano Ventura’s one pitch in the 2013 MLB Futures Game at Citi Field. 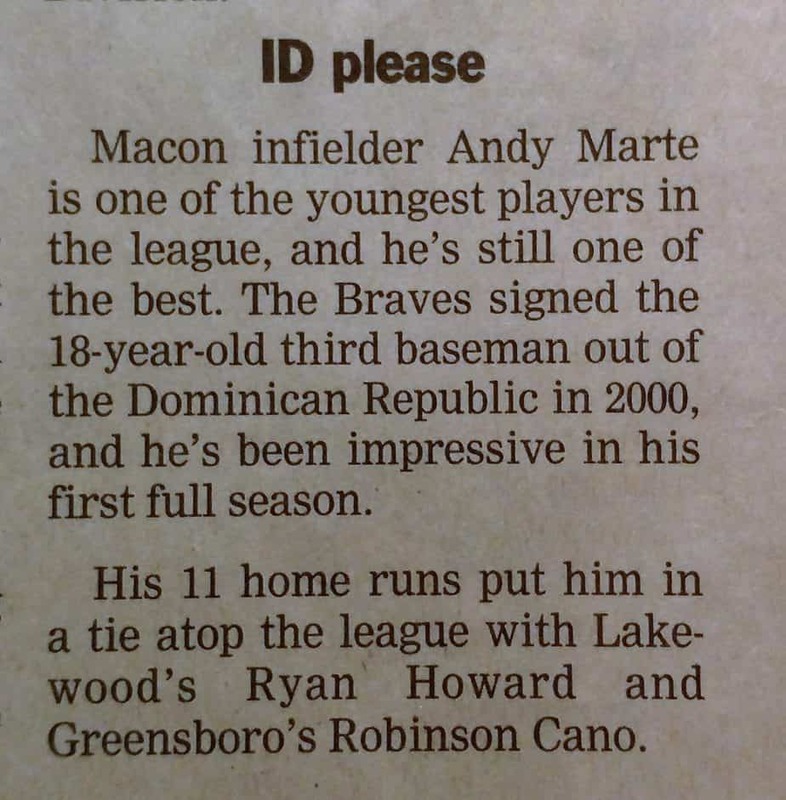 My thoughts immediately went back to 2002 and the South Atlantic League All-Star Game in Lakewood, N.J. Marte was an 18-year-old third baseman in his first full season of professional baseball. One of the youngest players in the league, Marte earned his all-star nod with a league-high 11 home runs at the break — tied with Ryan Howard of the Lakewood BlueClaws and Robinson Cano of the Greensboro Bats. Through the 2016 season, those three have combined for 681 Major League home runs. Then I saw that there was another MLB alert on my phone. Yordano Ventura. A promising young pitcher for the Royals, also dead in a car crash in the Dominican. Man. I saw both play before they reached the Majors. Ventura threw one pitch in the 2013 Futures Game at Citi Field, inducing a groundout to end the eighth inning. Two years later, I saw him pitch Game 3 of the World Series, the only game the Mets won in that Fall Classic. Lakewood’s FirstEnergy Park has always been a pitchers’ park — only 13 homers had been hit at the ballpark in the first half of the ’02 season — so the derby was scored on a point system instead of a simple count of balls reaching the berm beyond the fence. Anything hit to the warning track on the fly was worth one point, a fly ball off the wall netted two points and home runs counted for four points. The top two performers after the first round — the best score from the Northern Division and the best from the Southern — would face off in the final. Salinas, then playing for the Delmarva Shorebirds, topped the Northern hitters with 25 points (including five home runs), and Wright was the leading Southern slugger (28 points; six homers) with one to go. That one was Andy Marte. Marte went deep on his first four swings (finishing with seven total HRs) and then edged Wright by one point to reach the final. His point total held the top spot through three Southern hitters, until Marte’s turn. In the final, Marte homered on his first two swings and added a warning-track fly for a total of nine points. Salinas went 0-for-5 and Marte took the title in a shutout. Unfortunately, I didn’t get a chance to interview Marte after his power show. An 18-year-old signed out of the Dominican, he didn’t speak English and my Spanish was rusty after eight years of dormancy following my one and only semester of it in college. I could say hello and introduce myself, but any kind of question-and-answer situation required an interpreter, and none was available on the field after the derby. So I only spoke with the two runners-up. Marte finished that season with 21 homers, second to the 25 put up by Walter Young of the Hickory Crawdads. Ironically, 21 would be his final MLB total, too. He had two other 20-homer seasons in the minors: 24 at two levels in ’04 and 20 at Triple-A in ’05, the year he first reached the Majors. Marte has been out of the big leagues for two years, since his six-game stint with the D-backs in 2014. Ventura seemed to still be on the rise. He would’ve entered this season at 25 years old, coming off a second half in which he cut his ERA by nearly 1.50 runs and improved his strikeout-to-walk ratio after a rocky first half. Now they’ll be forever linked for leaving this world on the same day, in the same way, in separate incidents.